I was posting on the GTR.co.UK Forums and had a thought. Wheel hop. Wheel hop. I have heard wheel hop on a GT-R on a LC launch. Wheel spin and hop. C5/C6's break rear ends and housings as evidenced by this thread. 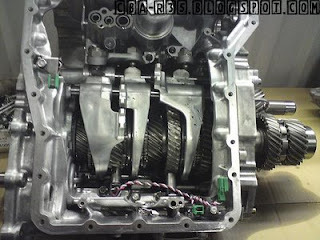 Some cars break housings, some break rear ends, some break shafts, some break gears. I see the GT-R breaking gears. Its the loading and unloading of the gear that causes it to break. The wheel hop. Overtime, things loosen up more, and the car may get even more wheel hop.